On the 28th of October 2005, the beverage gas standard Australian Standard AS5034 was introduced. 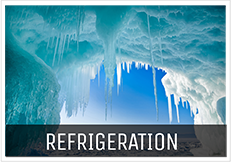 The standard outlines the requirement for the use of inert gases for beverage dispensing and looks at all areas associated with the hazards of compressed and refrigerated gases such as carbon dioxide. Gas Supply Systems – Cylinders (single and multiple, refrigerated liquid CO2 supply, on-site gas generation and mixing and compressed air. 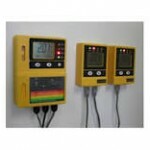 Gas Distribution Systems – Regulator boards, safety devices and piping. 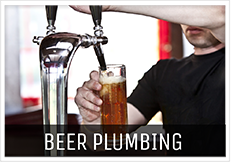 Beverage Dispensing Applications – Post mix and ready to drink (pre-mix) applications, bottled wine dispensing, draught beer and ready to drink kegs. – Higher concentrations can cause circulatory deficiency leading to coma and death. Any of the above symptoms could happen in less than 3 minutes and by the time someone notices you are missing, it could be too late. 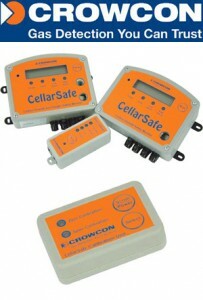 Let A&J Air fit a CO2 gas monitoring system which has been specifically designed to warn personnel of a carbon dioxide leak or to the depletion of oxygen (if the O2 option is chosen) The CO2 gas monitoring system is installed within the cellar and has a remote indicator which is placed outside the room which emits an audible and visual alarm when toxic levels have been reached. CO2 gas monitoring systems are specifically designed for each individual location to ensure you are compliant with AS5034. 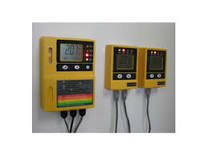 All CO2 gas monitors are calibrated once installed and a certificate of compliance is issued. 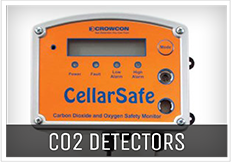 In accordance with As5034 each CO2 gas monitor is required to be calibrated every 6 months. 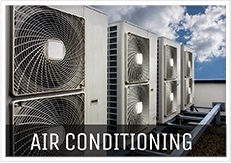 Our highly skilled staff will discuss and inform you of your obligations and ongoing maintenance scheduling.